Address: New Main Building G810, Beihang Unversity, Beijing, China, 100191. 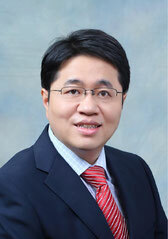 Jingyuan Wang, the leader of BIGSCity, is an Assocaite Professor in School of Computer Science and Engineering, Beihang University. He got his Ph.D. degree in 2011 from Computer Science Department, Tsinghua University. He published more than 20 papers on top journals and conferences, as well as named inventor on several granted CN and US patents. His research interests include AI, data mining, and urban computing. J. Wang, K. Feng, and J. Wu, “SVM-based deep stacking networks,” in AAAI’19, to appear. S. Guo, C. Chen, J. Wang, Y. Liu, K. Xu, D. Zhang, and D. M. Chiu, “A simple but quantifiable approach to dynamic price prediction in ride-on-demand services leveraging multi-source urban data,” in UbiComp’18. J. Wang, X. Wang, and J. Wu, “Inferring metapopulation propagation network for intra-city epidemic control and prevention,” in KDD’18. J. Wang, X. He, Z. Wang, J. Wu, N. J. Yuan, X. Xie, and Z. Xiong, “CD-CNN: A partially supervised cross-domain deep learning model for urban resident recognition,” in AAAI’18. J. Wang, C. Chen, J. Wu, and Z. Xiong, “No longer sleeping with a bomb: A duet system for protecting urban safety from dangerous goods,” in KDD’17. J. Wang, Y. Lin, J. Wu, Z. Wang, and Z. Xiong, “Coupling implicit and explicit knowledge for customer volume prediction.” in AAAI’17. J. Wang, F. Gao, P. Cui, C. Li, and Z. Xiong, “Discovering urban spatio-temporal structure from time-evolving traffic networks,” in APWeb’14. J. Wang, Y. Mao, J. Li, Z. Xiong, and W.-X. Wang, “Predictability of road traffic and congestion in urban areas,” PloS one, vol. 10, no. 4, p. e0121825, 2015. Z. Zhai, B. Liu, J. Wang, H. Xu, and P. Jia, “Product feature grouping for opinion mining,” IEEE Intelligent Systems, vol. 27, no. 4, pp. 37–44, 2012. C. Yin, Z. Xiong, H. Chen, J. Wang, D. Cooper, and B. David, “A literature survey on smart cities,” Science China Information Sciences, vol. 58, no. 10, pp. 1–18, 2015. W. Jing, D. Tong, Y. Wang, J. Wang, Y. Liu, and P. Zhao, “MaMR: High-performance mapreduce programming model for material cloud applications,” Computer Physics Communications, vol. 211, pp. 79–87, 2017. J. Wang, J. Wen, J. Zhang, Z. Xiong, and Y. Han, “TCP-FIT: An improved TCP algorithm for heterogeneous networks,” Journal of Network and Computer Applications, vol. 71, pp. 167–180, 2016. J. Wang, J. Wen, C. Li, Z. Xiong, and Y. Han, “DC-Vegas: A delay-based TCP congestion control algorithm for datacenter applications,” Journal of Network and Computer Applications, vol. 53, pp. 103–114, 2015. J. Wang, J. Wen, Y. Han, J. Zhang, C. Li, and Z. Xiong, “CUBIC-FIT: A high performance and TCP CUBIC friendly congestion control algorithm,” IEEE Communications Letters, vol. 17, no. 8, pp. 1664–1667, 2013. J. Wang, J. Wen, J. Zhang, and Y. Han, “TCP-FIT: An improved TCP congestion control algorithm and its performance,” in INFOCOM’11. J. Wang, H. Li, Z. Zhai, X. Chen, and S. Yang, “An improved tcp friendly rate control algorithm for wireless networks,” IEICE Transactions on Fundamentals of Electronics, Communications and Computer Sciences, vol. 94, no. 11, pp. 2295–2305, 2011. Reviewer: ACM IMWUT/UbiComp, IEEE T-PAMI, IEEE T-ITS, IEEE T-COM, ACM T-IST, DMKD, Computers, Environment and Urban Systems, IEEE ACCESS, IEEE T-CSVT and etc.